Suh Seung Won, Simultaneity 17-602, 2017. 162x130.3cm, Acrylic on canvas. As an early member of the Dansaekhwa art movement, Suh Seung-Won (b. 1941) presents the theoretical basis for Korean modernism. For over 50 years, Suh has expressed his aesthetic views on the simultaneity of time and space through his exploration of interactions between geometric patterns and backgrounds. Suh’s firm investment into this aesthetic philosophy and the consistency of his artwork over the past 50 years is a remarkable feat of consistency, maintaining relevance in a dialogue of temporary aesthetics constantly in flux.  According to Suh, “simultaneity enables the unseen to be seen, ensuring that what is happening in the world of nirvana or ‘beyond dark’ could be represented through me.” Around 1990, the rigid geometric forms found in Suh’s previous work began to disappear, creating new depths of space composed of smoothly overlapping rectangular forms. This new approach expanded on the artist’s exploration of visible and invisible reality by creating canvases which appear monochrome from a distance, but upon closer examination are revealed to be composed of a variety of colors.